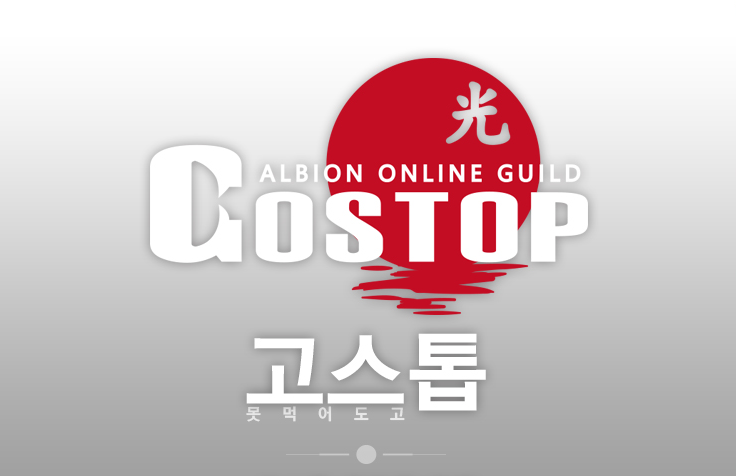 This week we're pleased feature GoStop, who are primarily based in Korea. Founded in the summer of 2018, GoStop takes a relatively lighthearted approach to the game, though they're also more than willing to gear up and participate in some open-world PvP. Tell us about your guild. What sort of activities do you focus on? Recently we have focused on killing Siphoning Mages. We are earning season points from this. In general, our Albion style is freedom. Members can do whatever they want until we have a guild event. What is it like being part of the Korean Albion Online community? Most but not all of our members are Korean. Both our Korean and non-Korean members know how to enjoy Albion and follow the GoStop philosophy. What is the GoStop philosophy? Basically, it's a game, and it's supposed to be fun. So don’t get too stressed about dying. “Dying is normal.” “Get used to dying.” “Want to get to know Albion? Just get killed 100 times.” When newbies join GoStop, we tell them all this. Where in Albion is your guild primarily located? What regions in Albion do you focus on? Once one of our guild members put T8 trash into the guild vault. When we asked what it was, he said it was a Command Mammoth: he had solo-killed a guy who had it geared but wasn't riding it, and wanted to save the trash as a souvenir. We don’t control our members or tell them what to do. They can do whatever they want as long as it's not harmful to other members of the guild. So members are doing what they want for fun, I don’t care whether it is farming, ganking, trolling etc. Lately many of our members have enjoyed killing Siphoning Mages. We have Songc who is a super creative guy. If you guys see Songc, please msg him “ Oh! Fantastic guy <3 “.